The Fellowship was fortunate enough to obtain a copy of MECH CADET YU #1 from BOOM! Studios. The story is written by Greg Pak, illustrated by Takeshi Miyazawa, colors by Triona Farrell, and letters by Simon Bowland. This new series by Greg Pak and Takeshi Miyazawa is a fun ride. Stanford is a character we all can relate to and can’t help but root for him. I’m not familiar with Miyazawa’s work, but I love the look of the book. This series hits all the right buttons and should be a really jam packed adventure. I want to tag along, don’t you? Check it out. 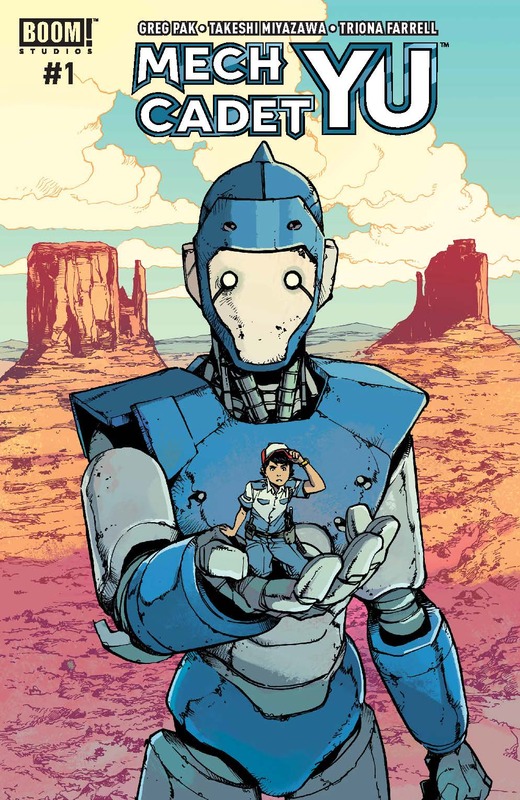 MECH CADET YU #1 is in stores now or available at www.boom-studios.com.